Earlier in 2013 I have shared simple yet effective idea to make stock market investment, by using this idea many people had made lot of money. Idea was quite simple. 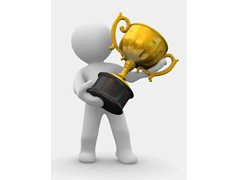 Find top mutual funds & identify top holding of this mutual funds. Invest in these top holdings and see the magic. In our earlier post with using same idea we have recommended to invest in ICICI Bank, Larsen & Toubro, Lupin, Maruti, Pidilite Industries,Wipro & Zee entertainment. These stocks gave magnificent returns from 6% to 67% from 2013 to 2014. Now let us look at Best stock held by Top Mutual funds 2014. Top fund holding by best mutual funds are ICICI Bank, HDFC Bank, SBI, Larsen & Toubro, Infosys, Reliance Industries, ITC,TCS, Maruti Suzuki & Axis Bank. 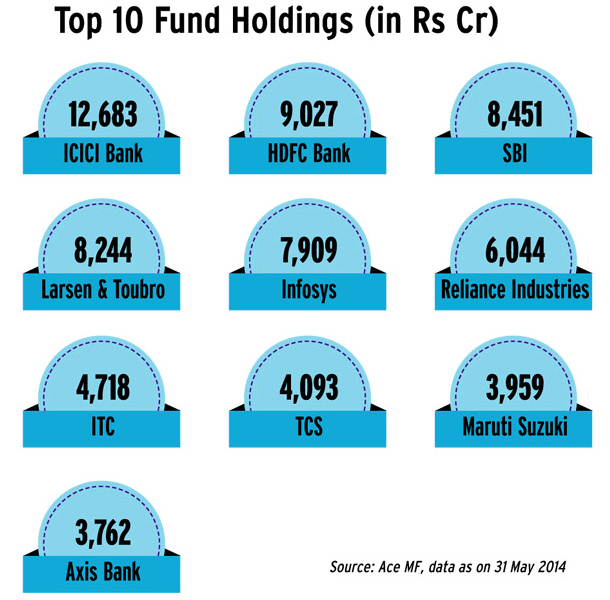 You must be surprise to notice that major holding of top mutual funds is in banking sector. Mutual funds manager believes that formation of stable government will boost economy and positively impact on banking stocks. As investor you must notice that most of the above stocks account for a large part of mutual fund portfolios since they have a high weight in benchmark indices as well. Top mutual fund HDFC Top 200 is holding SBI, Infosys, ICICI Bank, ITC and Larsen Toubro as major holding. Another Top mutual fund ICICI Prudential Focused Bulechip Fund is holding HDFC Bank, ICICI Bank, ITC & SBI as major holding. These stocks are also held by other Top mutual funds like HDFC equity fund, Franklin India Bluechip Fund, Reliance Equity Opportunity fund, Reliance Growth fund etc.